Tulsa Ballet II (TBII) is the official second company of Tulsa Ballet. TBII was designed to provide a bridge between the student phase of an aspiring classical ballet dancer and their professional career. Through a national and an international audition search, the most talented young dancers are invited to join TBII to refine their artistic and technical skills by working alongside Tulsa Ballet’s main company. When combined with educational programs and touring, TBII performs twice as much as Tulsa Ballet’s main company, providing tremendous opportunity for artistic and technical growth. During the current season, 11 of the 28 professional dancers in the Tulsa Ballet’s main company are former TBII graduates. Dozens more are employed by professional companies around the world. Contact us for more information on touring date availability and fees. For information on current individual TBII members, visit our Dancers page. Dancers interested in TBII can send a video link of their dancing and resume to be considered for an audition at one of our Company Audition locations or by company class. Interested dancers may also attend an audition class at any of our “Pointe to the Future” (PTTF) audition locations. Those interested in being seen at one of these auditions can find dates, locations, and times on our Summer Programs page. * While it is not necessary to attend one of our PTTF auditions to be considered for TBII, doing so give candidates the opportunity to be seen in class, during the summer intensive, by all the members of the Tulsa Ballet artistic staff, including the Artistic Director. Candidates are still required to submit formal audition materials as indicated below. At least one position for both a male and female dancer in TBII will be kept open for attendees of our summer intensive, Pointe to the Future, and will be awarded at the end of the program (should there be valid candidates as decided by the Tulsa Ballet’s Artistic Director). 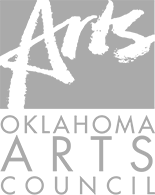 Please send video link (with classwork and classical/contemporary variations) and resume (including age and height) to companymanager@tulsaballet.org. Please enter “TBII Audition” in the subject line of your email. Contact Jacqueline Blocker at companymanager@tulsaballet.org with any additional questions.